Your tax refund can provide you with many spending opportunities, which can be either spent as an investment, or squandered and eventually getting you deeper in debt and seeking emergency help. However, have you ever thought about using the extra funds to help start your own business? Yes, it’s true: Your IRS tax refund can provide enough capital to help start that business you have always dreamed about opening, while still paying down any debts you may already owe. According to the IRS, the average tax refund in 2012 was $2,700. That alone can support a new business venture, but if you collaborate with your spouse or a friend, you could double the start-up money. To start a business, you will need more than funds. You will need to have at least some level of industry experience. Without a basic understanding of the industry, entrepreneurs may experience difficulty maintaining a successful business. This doesn’t mean you have to be an expert in the industry, but don’t start your own event planning business if you know nothing about organizing an event. As an entrepreneur, you will also need to research your product and become familiar with competitors in your area, as well as prospective consumers. It is important to know your target audience, because it will enable you to develop a strong marketing strategy. Think about promoting your business online and in newspaper and your social networks. No matter how large or small a business, an effective business plan is vital to identify your objectives and goals. If you are organized, detailed oriented and love to plan parties and events, you might consider starting your own event planning business. To start, you will need a computer with the usual office software: a laser printer, a fax machine, desktop publishing software, a phone, calendar and a planning book. This business can be run from home, but clients will often want to meet with you in person, which means you should have a nice home office space. Aside from online and newspaper advertising, event planning requires a lot of networking and building lists of vendors. If you are handy around the house or with cars, why not make a business out of your skills? With a struggling economy, it is becoming more common for people to repair household equipment and vehicles rather than replacing them. You can easily work from home, which lowers the start-up costs. You just need a reliable car to get you from customer to customer. You may want to invest in some handy tools that will allow you to repair a variety of equipment and vehicles, including cars, trucks, vans, lawn mowers, furnaces and swimming pools. If you are good with floral arrangements or can spend hours in the heat picking weeds from a garden or mowing the lawn, you might consider landscaping as a small business idea. Within the retirement community, there is always a demand for landscapers, as with age, it becomes harder to perform the manual labor needed to maintain gardens and lawns. You will need to invest in gardening equipment and possibly a vehicle large enough to transport large quantities of plants or trees and machinery like a lawn mower. Are you outgoing and enthusiastic about places where you live? If so, a specialty travel and tour business might be right up your alley. If you live in or near a supposedly haunted town, you could conduct haunting tours. If you like the outdoors, you might consider guiding nature tours through forests or even river rafting or canoeing. To start a specialty travel and tour business, you really only need a computer system, Internet access, a fax machine and a phone. Bounce houses are inflatable amusement structures that provide children with a fun, safe way to stay active. From birthday parties to festivals, carnivals or community events, bounce houses raise the bar for fun. 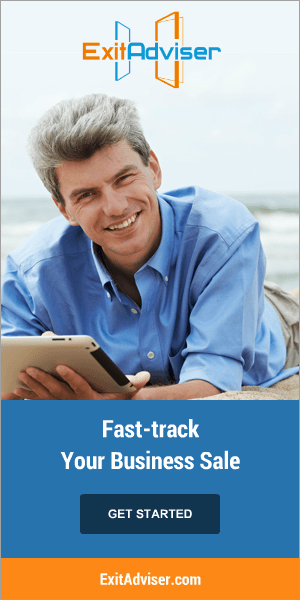 You can easily run this business from home, and the start-up costs are minimal. Plus, you could make great profits averaging $250 a day. You will need to invest in some bouncy houses, which can cost from $2,000 to $10,000. You can also purchase them used for a fraction of the cost. You will need equipment to inflate, repair and transport the bounce houses. You also need liability insurance. While policy requirements vary by state, schools and parks almost always require it for bounce houses. While many people dream of owning their own business, you now have a way to make your dream a reality. Your tax refund can be used as an opportunity to invest in a new business that could help you earn more in the future. If you don’t see yourself starting one of the businesses already mentioned, consider other business ventures that include your interests and minimal start-up costs. There is no better time than now to re-invest your tax refund into a new business!